Billie Morris also captured first in the Medical Assisting Category. Mary Turner was her advisor. And Elizabeth Carver won fourth place in the Photography competition. Mark Francis was her advisor. The seven students were among 15 Pensacola State College SkillsUSA student-members who qualified for the organization’s national conference after winning at the 2018 Florida SkillsUSA State Leadership and Skills Conference. 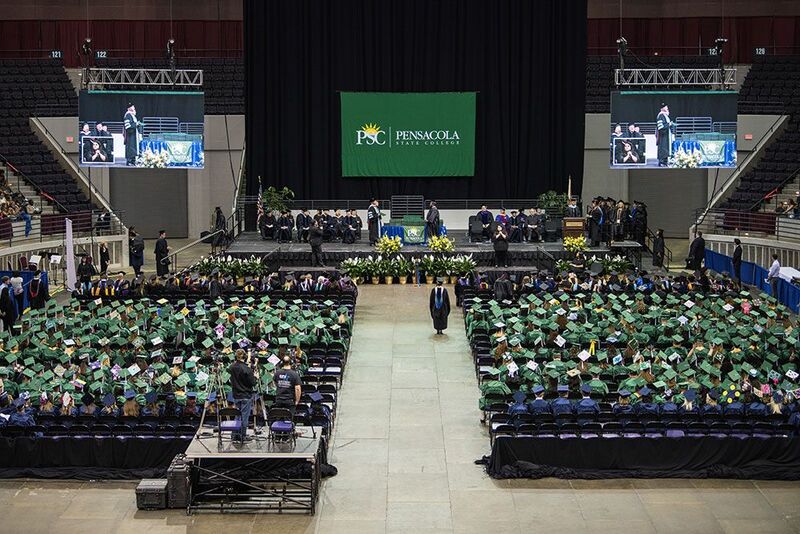 Pensacola State President Ed Meadows was proud of the College’s team showing at the national level. “Our students came prepared and ready to compete. They worked hard to get to this level, and I couldn’t be prouder of our entire group and how well they performed,” Meadows said. 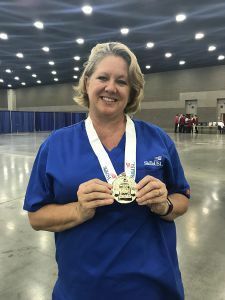 Billie Morris won first place in the Medical Assisting competition at the SkillsUSA national conference held in June in Louisville. 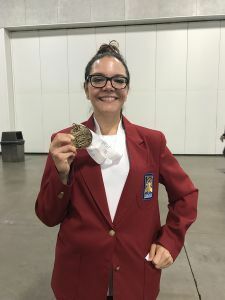 Katherine Schweitzer won first place in the Customer Service competition at the SkillsUSA national conference held in June in Louisville. 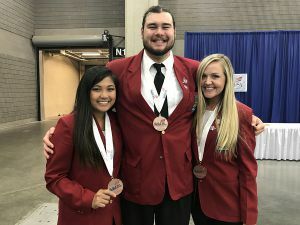 Pensacola State SkillsUSA members – Anna Fischer, Kristine Kaibigan and Mathew Parker – placed third in the Occupational Health and Safety competition at the organization’s national conference held in June in Louisville, Kentucky.